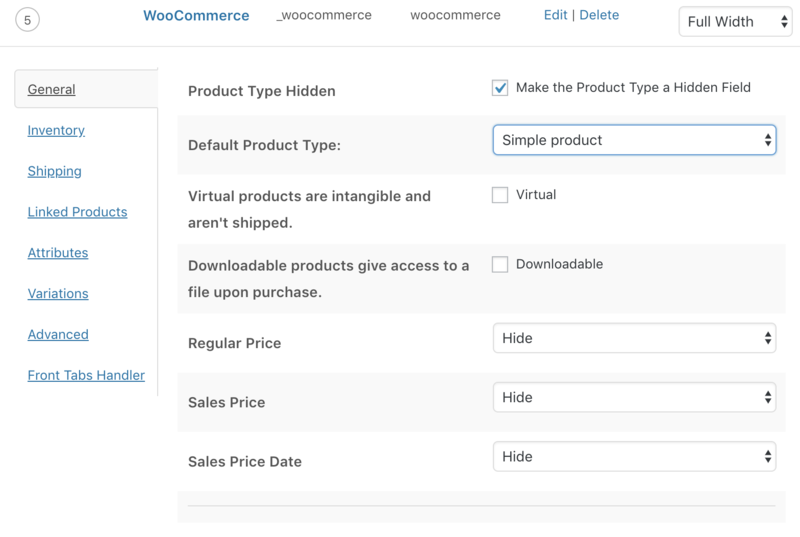 We have two different Form Elements for WooCommerce. General Settings and Product Gallery. Just select the Form Element from the field type select. See the image below. In the general settings form element, you can find all the settings you find in the normal Product edit screen in the backend. You can define what Product Type the form should be used for and hide all options you want to predefine so that only the needed options for the vendor will be displayed and the form gets simplified as much as possible. 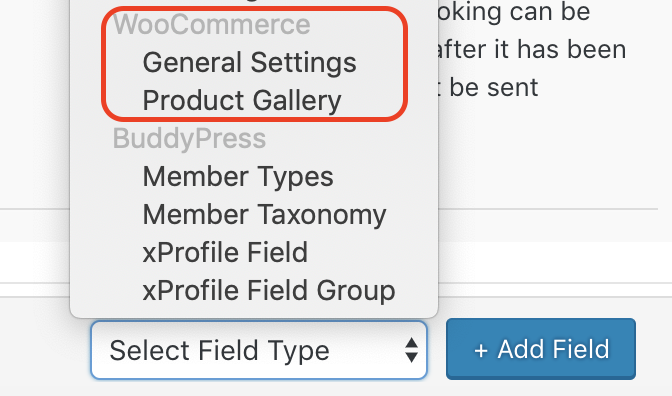 If you use WooCommerce extensions like simple auctions or bookings this options will be added to the general settings. The Product Gallery is the same as in the admin product edit screen. All Images uploaded to the Product Gallery will be used in the WooCommerce Product Gallery om the Product Sigle view.